“What is Mission?” is a series of four studies and videos produced by the Church Mission Society of the Church of England in the UK. 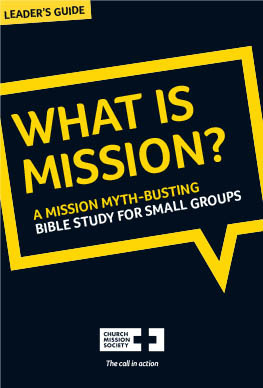 The studies aim to bust the main myths about mission. They take 1-2 hours. There focus is on engaging people through relationships and sharing faith rather than on, say, systemic social justice. 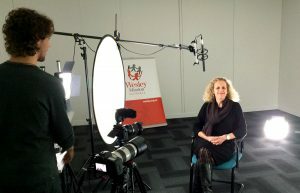 Each video features a range of people engaged in mission in different ways, both in the UK and overseas -mission partners, ‘pioneer’ students, staff members and church leaders. Myth #1: Mission means we have to save the world. Myth #2: Mission is primarily a Western thing. Session Two features a series of posters of artwork depicting Jesus by people from a range of cultures (from the excellent resource “The Christ We Share”. Myth #3: Mission is about doing thins for people in need. Myth #4: Mission is for extraordinary people. They also have a “Mission Is…” Card Game but only available in the UK. Game rules here. Also there’s a short vox pop of people saying what mission means to them here. Mission Is … You Tell Us! from Church Mission Society on Vimeo. 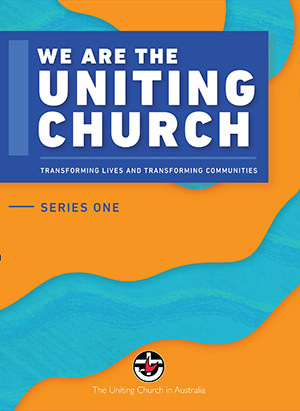 In October we’re launching the first Series of “We are the Uniting Church” videos telling something of the life, story and mission of the UCA. They’re designed for newcomers to agencies, schools and congregations – members, staff, volunteers. The project arose from talking to people in UCA agencies and schools about how they induct their staff, and the need to give them a better sense of who we are as the Uniting Church. 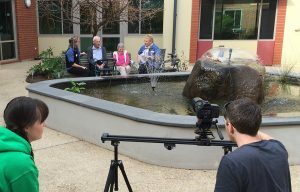 Last year we visited congregations, agencies and schools in various locations across Australia to gather stories and comments about the breadth and depth of the church’s life and mission. It was wonderful, inspiring and at times challenging to see and hear who we are as the people of God. The aim is to give a broad brush view of our values and commitments, our people and programs, our faith’s words and deeds. The videos last for about 7 minutes each. They are designed mainly for use in groups, but can also be embedded in a church or agency website. We also filmed 6 videos for Series 2 on the faith of the UCA. These will be released early in 2017. We worked with flipcreative in Brisbane on the project. The videos are all be available to download, share or embed in websites for free – details at assembly.uca.org.au/weareuca. You can also buy DVDs from MediaCom for $24.95 (Series One) and $39.95 (Series One and Two when available). Download the flyer. The videos will also become part of new baptism, confirmation and discipleship resources for the UCA. We hope they’re informative and useful. We hope to find ways to build on them into the future. I’ve been in Melbourne for 3 days meeting with the Uniting Church Assembly’s Mission and Evangelism Network (AMEN). This is a voluntary network, primarily of people in Synod and Assembly roles, but open to anyone to join. The group meets once a year in different locations. 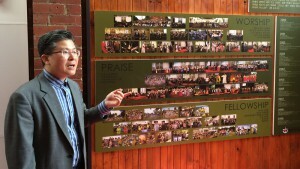 On Monday we visited Melbourne Korean Church which is possibly the largest Uniting Church in Victoria. The congregation is just over 40 years old and has recently undertaken a significant property development funded by the sale of another nearby church property. The Senior Minister Rev Dr Paul Goh was an energetic, informative and enthusiastic host. The church is intentional about spiritual formation and education, and is currently exploring open-ended faith conversation with young adults in a mentoring group. They are committed strongly to age-appropriate Christian education, both with first generation Korean language speakers and with second and third generation English speakers. Rev Robin Yang leads their ministry with youth and young adults. The church sees the Korean diaspora as potentially an apostolic evangelical movement. On Tuesday we visited Hopper’s Crossing to hear Rev Dr Adam McIntosh and Rev Rosemary Broadstock speak on behalf of Port Phillip West Presbytery to share their “Regenerating the Church” direction and strategies. The Presbytery strategy includes inviting congregations to choose whether or not they want to work on new approaches to mission. If they do, the presbytery engages with them in several ways. The Mission-shaped Ministry course provides a foundation for church leaders to think differently about ways of being church and how the Gospel speaks into their context. 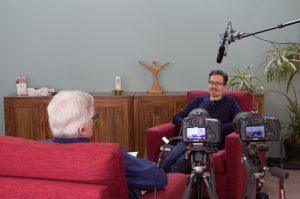 Congregations are invited to creatively explore new models of ministry, and these are shared on the website as short videos. The presbytery has funding available for new placements with a specific on developing fresh expressions of mission. The presbytery leadership are involved in providing coaching for ministry staff involved in starting fresh expressions. It’s an exciting approach to systemic change. On Wednesday we discussed plans for another national Mission & Evangelism conference, hopefully to be held in 2016 in Melbourne. We also heard about Rev Dr Ian Robinson’s’ evangelism training course “Makes You Wonder” and began plans for Ian to offer this across Australia as a train-the-trainer program in 2015. 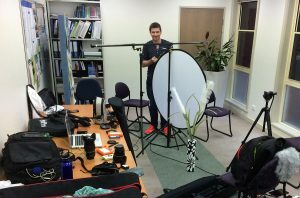 Phil Smith is a school chaplain in Queensland and a journalist. For a study unit on “Evangelism, Conversion and the Mission of God” at Uniting College, he created this excellent video about how Christians have engaged in the Men’s Shed movement across Australia. Credit to John and Olive Drane for creative teaching and for allowing creative forms of assessment!